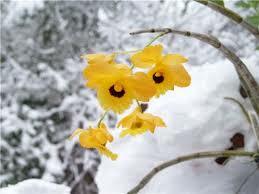 Fall is here and winter’s on the way – does that make a differenc e in how I treat my orchids? Do I keep fertilizing? Do I stop watering? If you’re wondering about any of these questions, Karl Varian has answers for you! Karl is a long-time society member and a student judge with the Dallas Judging Center. And, he’s been growing orchids since 1960! After his program, there will a raffle and table judging of orchids brought by members. Come join us! At 2pm, Orchids 101 will meet in the greenhouse.